Congratulations on securing a free copy of my book. With this brand new book in your hands you can now literally copy exactly how I made my millions. To ensure that you get the results I’ve achieved you simply need to copy what I do as closely as you possibly can. 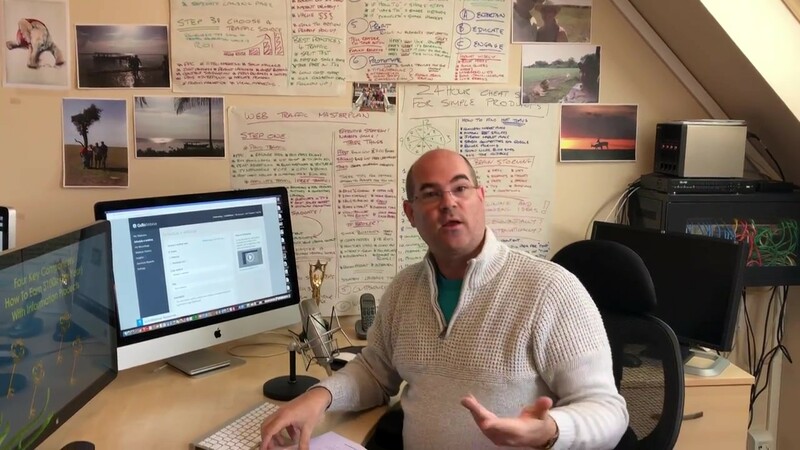 Which is why I’m drawing your attention to that picture above – it’s a bit blurry I know because it’s actually a screen shot from an online training session I did recently. 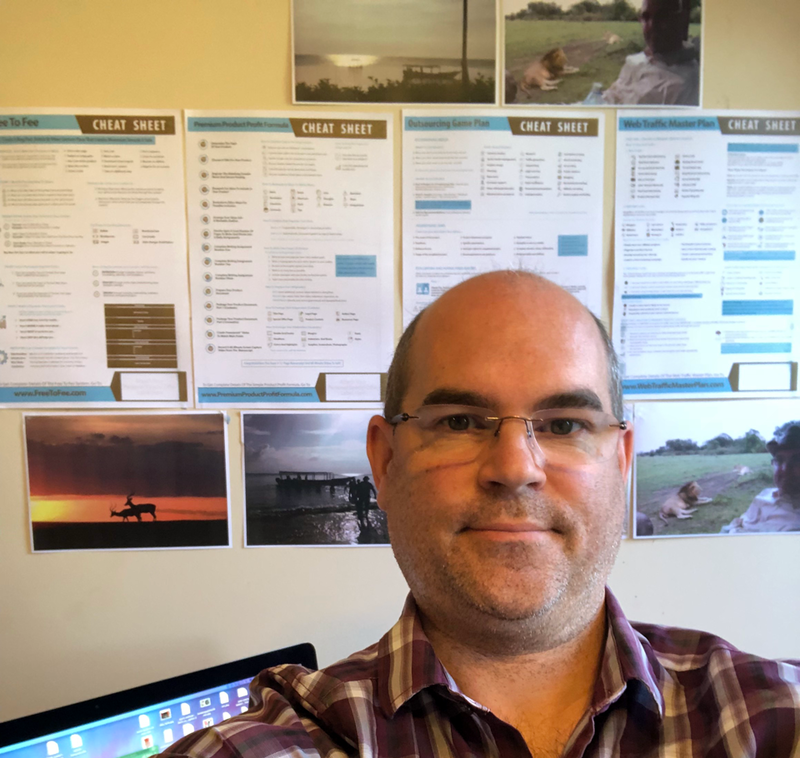 'What, you mean those flip chart sheets … oh those are just my personal action plans and checklists' I said 'they’re what I refer to on a daily basis to keep me on track and making money'. 'Any more questions?' I asked. In fact, it was more like a demand than a question. You see, the people on the training were some of my most successful students, so they already knew that copying exactly what I do makes them money every single time. And with those 'posters' they saw an instant opportunity to copy me even closer and make more money even faster. So at the end of the webinar I took them down off the wall and handed them over to my graphic designer to prettify them. And don’t they look nice now? I’ve still got some of these posters left - would you like a set to go along with your book? 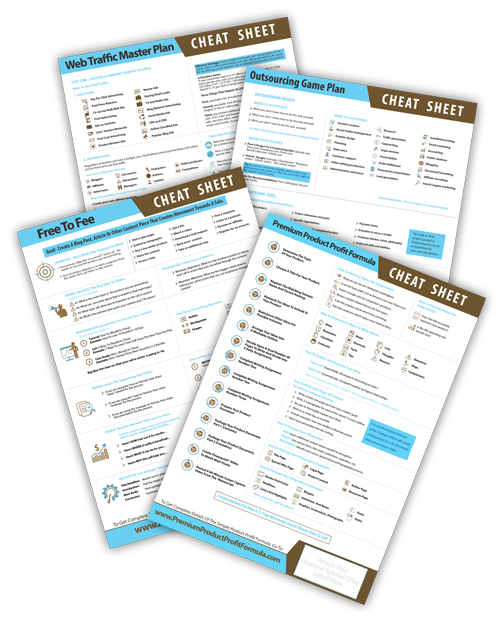 These 4 posters take the content of the book, turn it into action plans and checklists and then put these essential tools where they can’t be ignored or forgotten about … on the wall. On the walls where you are running your online business from. Heck even if you run your business from your living room couch with your laptop on your knee, you could frame these posters and still have them up on your wall, they look that nice now! Yet I’m asking just $20 for the complete set of posters which is pretty much what I paid to have them professionally designed and printed. Add the postage cost and another donut or two for Samantha … and it’s probably going to cost me a couple of bucks to let you have them. I’m doing everything I can here to help you copy exactly what I’ve done to become massively successful so that you can join me. So tick the box below and let’s get your working environment looking just like mine. I’ll even pay you for a selfie! And once you’ve got your posters up on the wall, here what I want you to do next. I want you to take a selfie to show me that you’ve copied my working environment. Look, copying EXACTLY what I do is so important to you hitting 6 figures in your own info publishing business that I’m actually going to ‘bribe’ you to do this. As soon as I receive your selfie … I’m going to send you a very personal gift. (When you get the gift you’ll see what I mean by personal). What I’m giving you is not for sale anywhere, at any price. But if it were for sale it would easily command a price of a couple of hundred dollars. And when you use this gift, it could be worth hundreds of thousands of dollars to you. So I really hope that you take that selfie so I can get it to you. Anyway, Samantha will have packaged your book up by now and will be waiting to see if you’re grabbing the posters too. I'll just take the free book and figure the rest out for myself. Hmmm … as a diver, I don’t think that I’ll be putting that on my wall! 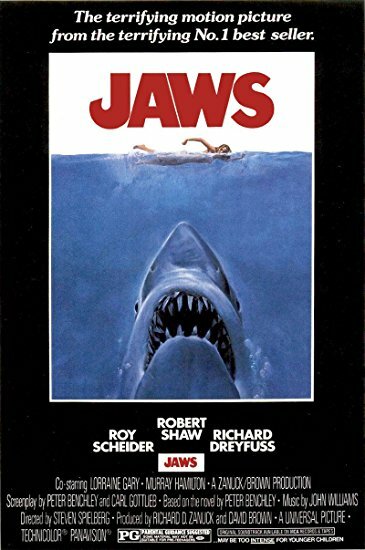 On June 23rd 2010 this poster was sold for over $5,000 dollars at auction at Christie’s auction house. Over the years I bet the posters on my walls have generated hundreds of thousands of dollars for me. WOW! I hadn’t looked at it like that before. You may be getting my posters for just $5 each BUT what’s on them makes them worth many, MANY THOUSANDS of dollars to you. So get ‘em while you can (… and then don’t forget to send me the selfie so I can send you my personal gift – I know it’s going to make all the difference to you).